Philip Dave Amarillo is 13 years old. He comes from a first class municipality in the south of Cebu, from a family that has lived in that town for generations. In his own words, he comes from a humble family and said that "they could only eat if they had a good day selling at the market." His mother sells near a bakeshop in the town proper and he helps out with the chores at home, which includes cooking. By placing 2nd in the recently concluded first season of Junior Masterchef Pinoy Edition he joins a long list of Argawanons who gave pride to the town of Argao. He is also the first in the family to contribute pride and glory to the town. The AMARILLO family of Argao has been in town since before its founding. Records from the church, municipal registrar, and the Philippine National Archives indicate they were a purely indio family, indicating that they are truly native to Argao. It is one of the families with very few members. From current vital and voters' records the family can said to roughly number 0.69% of the total population, scattered in around 20 of the barangays of the town of Argao, and with a bulk of these living in the barangays of Jomgao, Panadtaran, Canbanua, and Usmad. Because almost a third of these members live in Jomgao it can be concluded that the Amarillos began in Jomgao in the Spanish period. 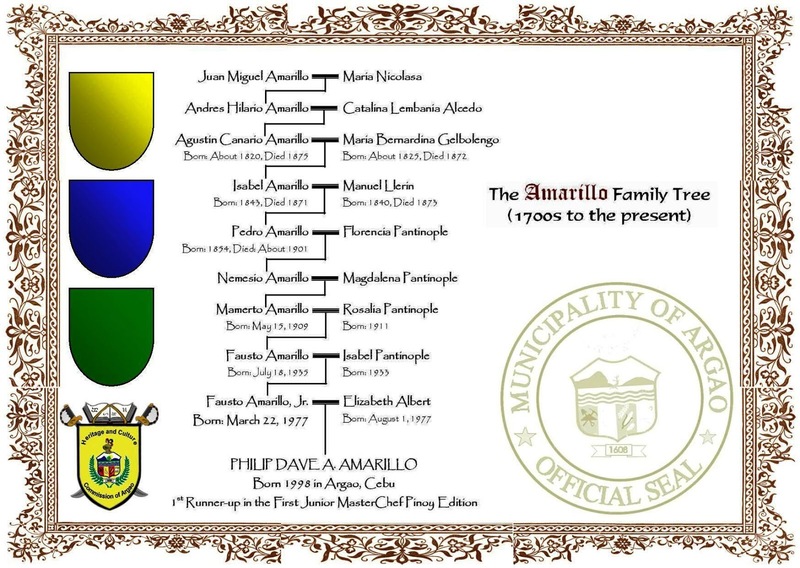 The whole Amarillo family of Argao can be traced to Juan Miguel (Amarillo) who lived sometime in the early 18th century. Typical of an indio family, the Amarillo males were all described as labradores, or farmers, while the women were tejedoras, or weavers. 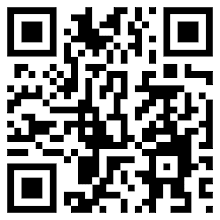 Records also indicate a tendency to have small families, with a maximum of 3 children for most couples. Most of them also lived only to their 40s or 50s, an indication of short life-span at that time. 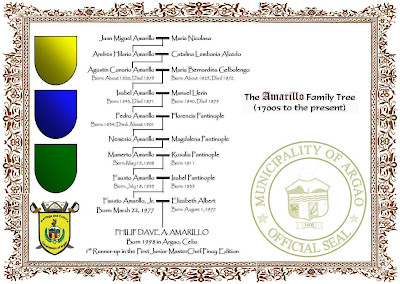 Philip Amarillo is the direct 9th generation descendant of Juan Miguel Amarillo and his wife, Maria Nicolasa. One peculiarity in Philip's line is that most of his female ancestors are from the Pantinople family, which is understandable though as the Pantinoples are also from Jomgao and one of the most populous families in town. Philip is the son of Fausto Amarillo, Jr. and Elizabeth Albert. He has two other siblings, Devanie Jade and Ellyza Jean. Although there are no other well-known Amarillos, Philip is related to the current mayor, Edsel A. Galeos, who is his 6th cousin twice removed. Placing second in the contest has truly placed the Amarillo family in the limelight. Congratulations, Philip! You've done great for your town!